Referee César Flores is dead after being shot multiple times by a soccer player whom he red-carded and sent off the pitch, according to reports. The reported murder took place in Campo de la Ribera, the provincial capital of Cordoba, Argentina, on Sunday. 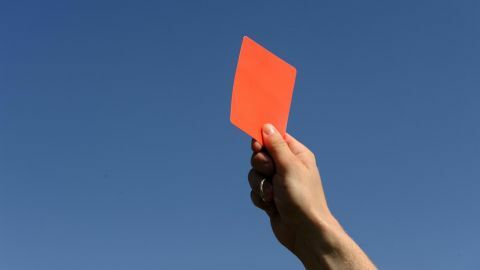 Police reportedly said the player retrieved a gun from his bag after receiving the red card, returned to the field during the game and shot the 48-year-old referee. Local reports said the referee was shot three times, in the head, chest and neck, while another player was injured, but not critically.